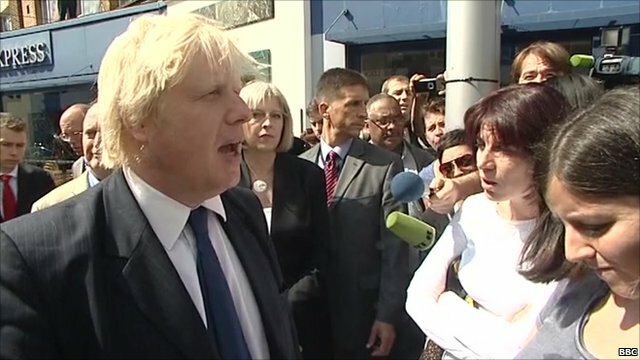 Boris heckled over London policing Jump to media player London Mayor Boris Johnson is heckled in Clapham Junction, the scene of sustained rioting and looting on Monday night. 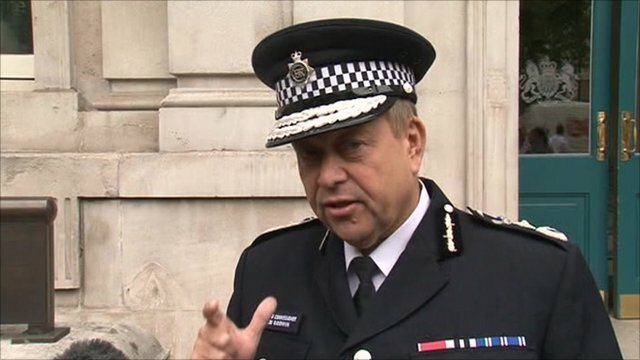 Police: 'We will be coming to arrest you' Jump to media player Acting Scotland Yard Commissioner Tim Godwin says police will be arresting anyone involved in disturbances, even if it takes weeks or months to find them. 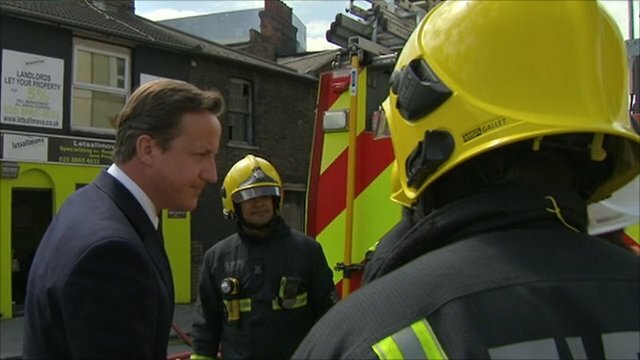 Cameron visits Croydon riot scene Jump to media player Prime Minister David Cameron has been visiting Croydon, where buildings were set alight and shops looted during riots on Monday night. 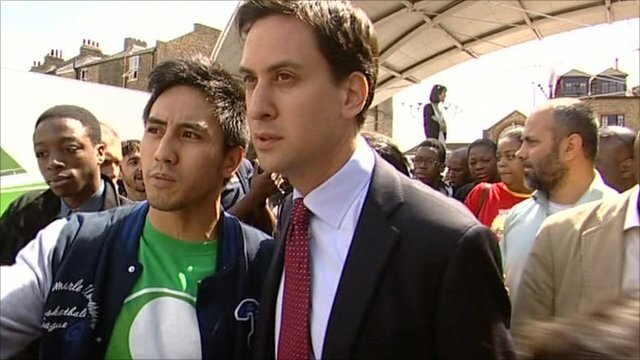 Miliband: 'We must restore order' Jump to media player Labour leader Ed Miliband has been visiting Peckham, where several shops and businesses came under attack on Monday night. Footage has emerged of a group of youths helping an injured man to his feet and then appearing to steal the contents of his bag during disturbances in London on Monday. 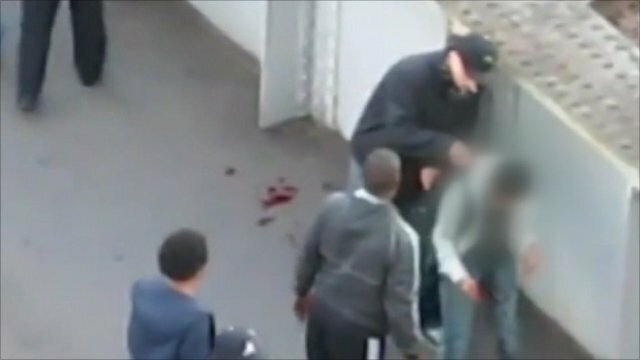 The man, who was bleeding heavily, was left standing on the street, with an empty backpack.